These are not the three year olds mentioned in the article, but the picture is simply priceless. 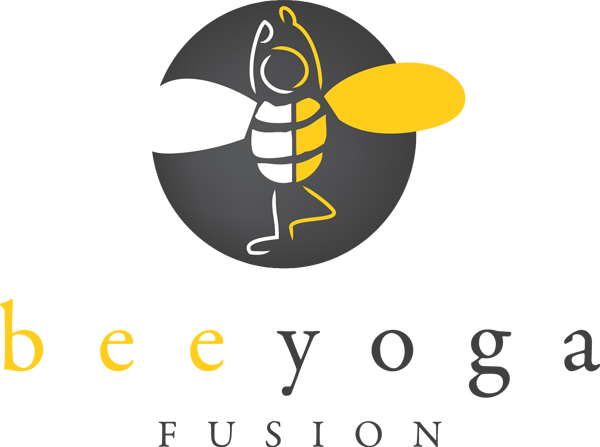 During the summer months I teach my usual adult vinyasa yoga classes at my yoga studio, Bee Yoga Fusion, and then during the day I teach at various children's summer camps. At one camp this past summer, I taught yoga classes to three year olds. Three is pretty young to understand the concepts of yoga so I teach the class in a way that they can understand. We play games and sing a song during the Sun Salutation. For Savasana (corpse pose) at the end of our class, the part where you lay down with your eyes closed. I tell them to pretend they are a statue. "You can't move, you can't talk, all you can do is listen and breathe. ", I say quietly as they get their final squirms out before becoming a statue. As they all lay there so still with their little hands folded on their bellies, even the child who seemed to be jumping up and down or squirming in every pose that we did that day. "What can you hear that you normally don't hear? ", I whisper. I tell them to notice their belly going up and down every time they breathe. "It's called belly breathing and you can do this at night time when you don't feel sleepy or when you feel sad or mad." The room is so quiet and still that anyone walking by would be shocked to know that there are 12- three year olds mediating in the room. I instruct them to come to a seated position, quietly, and then we go around the room and share all the things that we heard. "The air conditioning. ", "The kids outside playing. ", "The lights. ", "The breath coming in and out of my nose. I think I have a booger!" They get it and they love that suddenly a whole new world has been opened up to them that they never realized existed, the world that exists in quiet. To keep the kids interested I call it being a "Secret Spy", just saying those two words together and you can see their eyes light up. I asked them, "Raise your hand if you have a hard time going to sleep." Almost the entire group raises their hand and shakes their head yes. "So tonight I want you to try being a Secret Spy after your parents put you to bed." The kids are hanging on my every word, to them they now have this super important mission and these three year olds are taking it pretty seriously. "Listen to the sounds that the house makes just like we did today. And if you keep listening the sounds will magically put you to sleep." They nod and we place our hands at prayer position in the center of our chest and bow to each other saying "Namaste" as we do at the end of every class. There are some days when teaching this particular class of three year olds feels like the best birthday party you've ever attended. All the kids are excited, happy and having a great time. And then there are days when it feels like I am trying to herd a group of kittens, one is refusing to participate and another would rather sit and pick her nose than do a downward dog. There are good days and not-so-good days. The next day one child comes running towards me as the camp director opens the door, "I did it! I was a Super Spy!" with a huge smile and a complete look of excitement on his face. "That's awesome. Did the sounds put you to sleep? ", I ask. "Actually..... I listened to the dryer drying clothes and I listened to my mom washing dishes. And then I heard God." I sit. So that I can be face to face with him. I want him to know that I take this conversation seriously, I can tell by the look on his face that he's not joking and he believes this to be real. I nod my head as if to continue. "And God said that he's inside me and hears my sadness." The little boy stops twisting his shirt around his pointer finger and looks up at me. "Do you believe that? ", he asks. I can see tears beginning to form in his eyes. "I do. And... I believe that you are an incredible person." I smile and reach for his hand to hold. "I'm just a three year old." "You are so much more than that. You have a purpose. To spread kindness to everyone you meet..... and now you know that God lives in you." There is a pause, I can tell that he's thinking this over. "Yeah He does..... He does! ", he says with a smile. The other kids are starting to join us on the mats and saying hello to me, I look up to say hello to another child and then he wraps his little arms around my neck. He pulls away only a wee bit so that we can see each other eye to eye, I'm staring straight into his beautiful blue eyes and I assume he's going to say something profound. I wait for it. "It's my turn to be the leader this time! ", he whispers. And just like that, in pure three year old fashion we have moved on to something new. The class begins and it's a glorious day of yoga games and songs. It's like the best birthday party you've ever attended, everyone is having fun and smiling. And I look at their smiling, happy faces and I breathe them in. God is living in each of them, in each of us. We should treat each other with the kindness that we would show to God. We should lead with empathy and compassion and our actions rooted from a place of pure love. Thank you for this wonderful piece! I used to teach nursery school. 10 3 year olds, it still is in my mind one of the best jobs I ever had, I learned so much from them, and they taught me to never underestimate anyone they understood so much more then anyone gave them credit for in much deeper ways. I totally agree with you! Three-year-olds are quite remarkable beings. The ability to see and be part of the world and not have a learned filter yet.